Today, achieving operational familiarity with businesses intangible assets is rapidly becoming an operational – managerial norm, especially for intangible asset intensive – dependent businesses…with key – strategic intangible assets consistently being in play. More often than not, they are collaboratives – collections of…non-physical’s (assets) which exist and applied as various forms of intellectual, structural, and relationship capital. 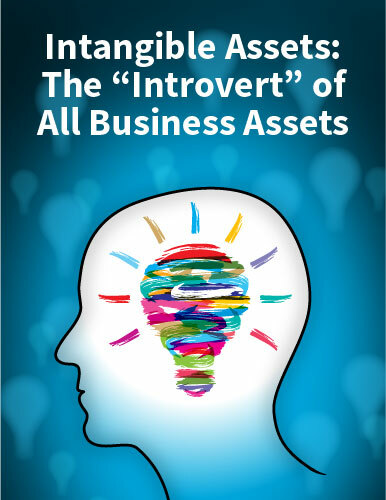 However, my own experience suggests…it is often the ‘intangibleness’, i.e., non-physical nature) of these assets, that contributes to business leadership and management to exhibit a personal reluctance – hesitancy to consistently engage, differentiate, mine, and effectively exploit these assets. In part because, again, intangible assets are not necessarily subject to human physical senses of sight, sound, and touch, etc., whereas tangible-physical assets routinely oblige. Anecdotally, such cautionary reluctance – hesitancy does influence many management – leadership teams to…wholly overlook, neglect, and otherwise dismiss the economic – competitive advantage benefits of crossing the chasm into the realm of intangible assets. That is, even though intangibles consistently play dominant roles in business efficiencies, competitiveness, and transaction outcomes. Preferably, readers will find this post leaves them with…substantially less – no doubt about recognizing, engaging, differentiating, and exploiting intangible assets, i.e., having achieved operational level familiarity with intangibles as conveyed throughout this blog. frequent ‘ripple – cascading affects’ to materialized risks throughout an enterprise. preempting-mitigating intangible asset risk, aside from Ouija boards or crystal balls, will fall short. when, where, why, and how risks materialize. the probability the risk will cascade throughout their company. those intangibles have likely not been consistently monitored for compromise. are likely to be perceived as insufficient, arbitrary, and ultimately fail. those doing so, should be prepared to incur numerous, and often irreversible missteps, miscues, and oversights (strategic as well as tactical) insofar as business operation and transaction execution. which lead to under-performance, loss of competitiveness, and even business failure. That said, it would be imprudent to infer…every transaction risk – business adversity is born solely from operational unfamiliarity with, acting dismissively toward, or under-utilizing a company’s intangible assets. 80+% of most company’s value, sources of revenue, competitiveness, and sustainability lie in – emerge directly from intangible assets! Not infrequently, when a business transaction is undertaken by a company…but, not initially thought to be particularly challenging or risky, but, nevertheless, ‘goes south’, it should prompt business leadership to secure a transaction review by an intangible asset strategist and risk specialist. leaving risks unnoticed, unmonitored, and unmitigated. Still, when business leadership are operationally unfamiliar with how, when, and why intangible assets are in play…in a particular transaction, initiative, or project, it frequently translates-materializes as the omission of all things intangible from planning, assessing, and execution. This leaves intangibles’ contributory role, value, projected sources of revenue, competitiveness, and sustainability out of a transaction’s ‘go, no go’ equation, and otherwise, off a (transaction) negotiating table. It is true, that the dominant drivers and ‘underwriters’ to most every business transaction…are intangible assets which will, inevitably, be in play. As such, they will be vulnerable – receptive to various types-levels of risk, e.g., competitive advantage under-mining, targeted erosion of (asset) value, and/or numerous other types-levels of (asset) compromise. As such, it is necessary today, that businesses and their management teams recognize that asset risk can materialize…in other than single, seemingly unrelated or ‘one off’ acts or events. Quite the opposite, any one, or multiples of risks may occur simultaneously and/or in ‘chain reaction’ contexts…to wholly negate or substantially minimize projected-desired (transaction) outcomes, even more so when intangible asset unfamiliarity and risk mitigation are absent or executed in a mediocre manner. difficult to converge the intangible with the conventions of tangible-physical assets. Another consequence to asset ‘intangibility’ is that it…can dissuade some business leaders and management teams from recognizing intangible assets as being relevant contributors to a company’s value, competitiveness, revenue, or sustainability. After all, it is true, a percentage of business leadership…still remain variously dismissive and under-appreciative of intangible assets they hold, i.e., especially, how to utilize – exploit them effectively, lucratively, and competitively. relegated to the non-denominational and virtually unusable ‘catch-all’ of goodwill. Either way, I find there is no single mechanism to overcome these detrimental shortcomings…aside from seeking – achieving operational level familiarity with intangible assets for which business leaders and management teams have control, use, ownership, and (fiduciary) responsibility to safeguard, exploit, and monetize well beyond merely what’s posted on conventional financial statements and balance sheets. As always, comments are encouraged and most welcome.